Delhi (India) based Yatrri Tours, is a group of diligent, industrious executives, organizers and tour managers working assiduously to make your trip the most contented, comfortable and memorable one. Understanding the pains of a car journey, our workers and employees bring to you a highly efficient and comfortable range of Cars and Coaches for rent. 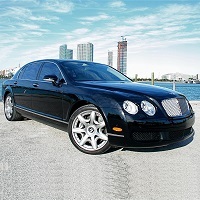 Choose from a wide range of Compact, Economy, Luxury, and Standard cars and travel in style as well as comfort. We are instrumental in offering the best and trustworthy Car & Coach Rental services that the customers can avail at affordable rates. With us, travel and enjoy safely and easily.